Arrogant and attractive, Jason focuses more on his own gratification than his partner’s pleasure. He’s a dominant, yet unresponsive, top. Bored with Dis, the demon lord, Dantelion, craves some amusement—and release. 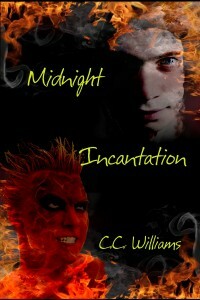 One night Jason lets slip a dream, which the Universe—and Dantelion—is only too happy to fulfill. As Dantelion instructs him, Jason falls prey to his own unspoken desires and learns the pleasure of submission. Phillip is a freshly-minted architect. With a new job and a new apartment, he’s alone in Philadelphia. One day a chance meeting at a local cafe leaves him obsessed with a dark-haired neighbor. Marco is a hard-working contractor. Good-looking and not unaware of his assets, he’s a bit of a show-off. Conscious of Phillip’s shy attraction, the Italian stud first hooks him with a peep show and then reels him in like a fish on a line. But who will be left wanting More? Noah Armstrong is a physics student with a major crush. Jerry Gresham is a fraternity boy with a minor secret. Socially they are worlds apart, but they both enjoy playing basketball. One night they discover they have more in common than just hoops. 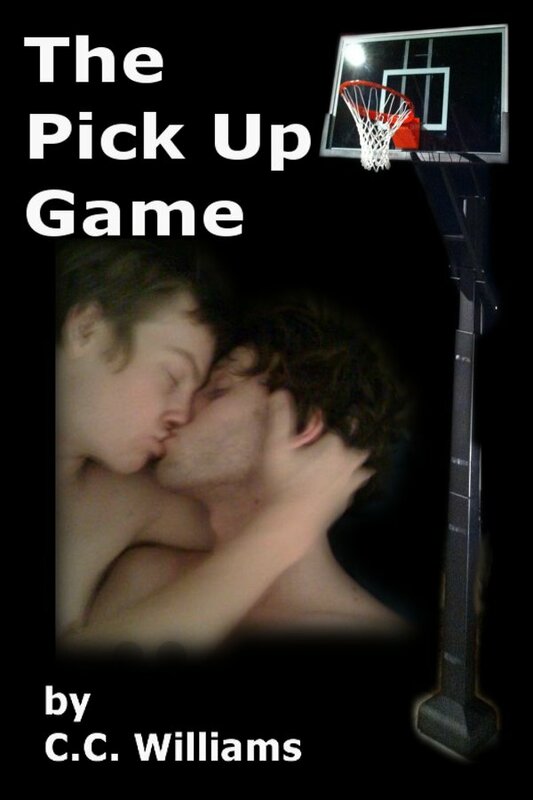 Who will win The Pick Up Game? 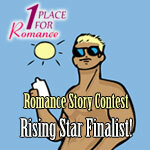 Finalist in the 2011 One Place for Romance – Summer Romance Story Contest! Action-film star Jeff Woltors and Pulitzer-nominated director Robert Jamieson hooked up when they were in college. That fling ended badly and has colored their lives and love affairs for years. 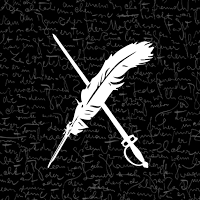 Brought together during their alma mater’s annual summer theater festival, the two men reconnect, resurrecting those old feelings and straining a tenuous truce to its breaking point. Can two men overcome past deceptions and mistakes to achieve what they’ve always wanted? Summer Stock brings drama and tension to center stage as Jeff and Robert try to resolve a conflict fifteen years in the making. Peter is a landscape designer. Leaving behind big-city Chicago, he relocates to a small town to help out his best friend, Mark, who’s the hottest guy in Grandville–and straight. After the death of his father, Mark is working hard to keep the landscaping business he inherited afloat. He persuades Peter to go into business with him; but is Peter’s design sense all that he’s after?